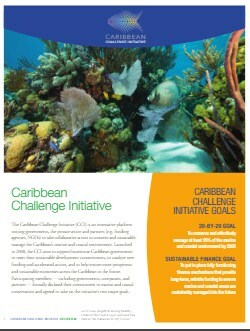 The Caribbean Challenge Initiative (CCI) is a coalition of governments , companies and partners working together to accelerate action on the marine and coastal environment. ST. LUCIAN HOTELIER, KAROLIN TROUBETZKOY, HAS JOINED THE CARRIBBEAN'S EFFORTS TO ADDRESS THE CRISIS OF MARINE AND COASTAL RESOURCE DEGRADATION WITH HER APPOINTMENT AS ENVOY OF THE CCI. 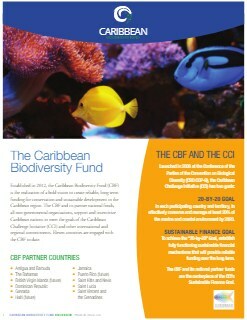 Founded in 2008 by a group of Caribbean governments eager to enhance the conservation of their marine and coastal resources, the CCI has since grown to include private sector membership and garner over US $75 million in funding commitments. CCI Governments and territories signed a CCI Leaders Declaration in May 2013 committing them to the protect and conserve 20 % of their marine and coastal resources by 2020. CCI companies committed to changing business practices and supporting the conservation actions of the CCI Leaders Declaration by endorsing the CCI Corporate Compact. At the CCI Summit of Business and Political Leaders held on, Necker Island in the BVI, the home of Sir Richard Branson on May 17 - 18, 2013, the second Phase of the CCI was launched. Since the Summit, the CCI Governments have put in place a permanent Secretariat, currently hosted by the Government of Grenada, to manage the operations of the CCI. A CCI Council and an Extended Secretariat (to include partner organizations providing direct assistance to the CCI Secretariat) is currently being developed to allow enhanced collaboration between CCI governments, companies and partner organizations to support the CCI's objectives. A strategic plan for Phase Two of the CCI was finalized in early 2014 and CCI governments are currently working to complete their CCI National and Territories Action Plans and a CCI Regional Action Plan by the end of 2014. The Caribbean is Our Home! Join Sir Richard Branson, Founder of the Virgin Group, Dr. the Rt. Hon. Keith Mitchell Prime Minister of Grenada, Dr. the Hon. 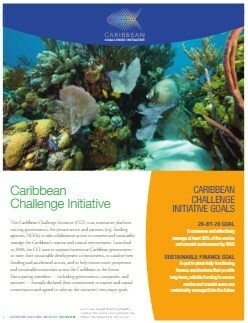 Orlando Smith, Premier of the British Virgin Islands, and others in the Caribbean Challenge Initiative.